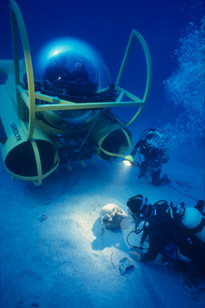 The Center for Maritime Archaeology and Conservation's Old World Laboratory is a focal point for Texas A&M University (TAMU)-based investigations of ships and shipwrecks of the ancient and medieval Mediterranean. The laboratory's work space and equipment are shared by ongoing projects directed by Dr. Cemal Pulak, Dr. Shelley Wachsmann, and Dr. Deborah Carlson. 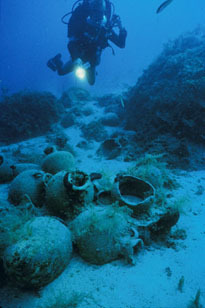 While the actual conservation and cataloguing of artifacts and hull timbers recovered from shipwrecks takes place in the Institute of Nautical Archaeology's (INA's) Research and Conservation Center in Bodrum, Turkey (or in other Mediterranean-region countries), field and artifact data from these sites are brought back to the Old World Laboratory for analysis and report preparation. Consequently, the laboratory sees a great deal of research, drafting, and writing activity throughout the year.